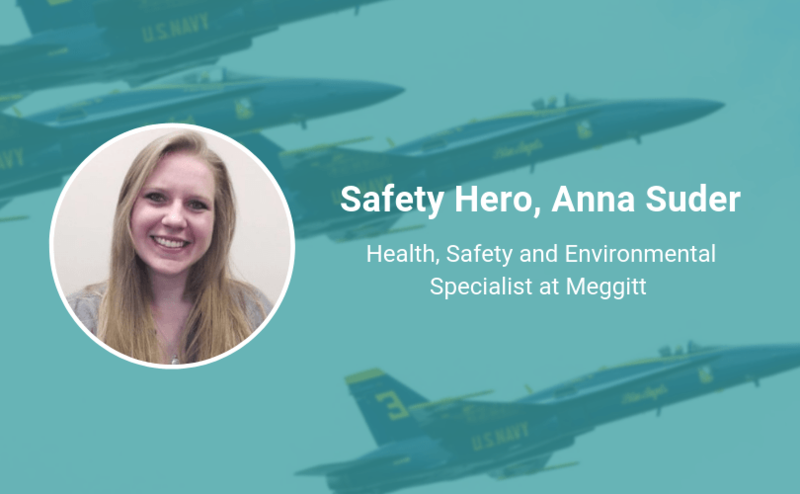 Anna Suder, Health, Safety and Environmental Specialist at Meggitt Polymers & Composites, is someone who deeply values safety. Customers all over the world rely on Meggitt technology, products, and services and the company works to enhance lives and enable safe, cost-effective flight, power, and defense systems. Meggitt has more than 11,000 workers, spanning across 5 continents and 16 countries. 69,000 aircraft rely on the company’s critical components every day—so you can see why safety is a priority for the company. Keep reading to see why Anna says she stays positive (especially during times of change), and how she makes sure employees feel heard and respected in the workplace. How did you end up in your role? I graduated from college with an Environmental Bachelor’s Degree while working in an administrative role at my company while job hunting. An opening for an EH&S role became available here around my graduation date, and I applied, eventually receiving the role and growing in experience through mentoring and continuing education. What’s the best piece of advice you have been given and who gave it to you? The best advice I’ve been given was by my manager. He told me that staying positive about change is key when helping those around you see the changes as positive. Some people may dislike any change, no matter how helpful it may be for them. If you keep a positive outlook, however, others will be more likely to begin looking at the changes being made in a positive light. Do you have any mantra you live or work by? The mantra I live by is: “Be approachable.” I have worked in places where the management level has seemed very distant and closed-off from any communication, making it feel like any concerns could not be brought to their attention as it felt as though they didn’t care. Being approachable is important for me, because I want my employees to be able to come to me for help and to make sure they feel heard and respected. My superpower is being able to look at problems from different perspectives and coming up with alternative solutions. I look to combine my analytical and creative natures to look at situations in ways which others may not think of, in order to bring a fresh perspective to a variety of platforms. Know Someone Who Is a Safety Hero?